Sea ice forms when the ocean freezes in the winter. Depending on wind conditions and how fast the ice forms the newly generated ice has different shapes. Under moderate wind conditions the new ice is created by forming these circular shapes, which is called pancake ice. 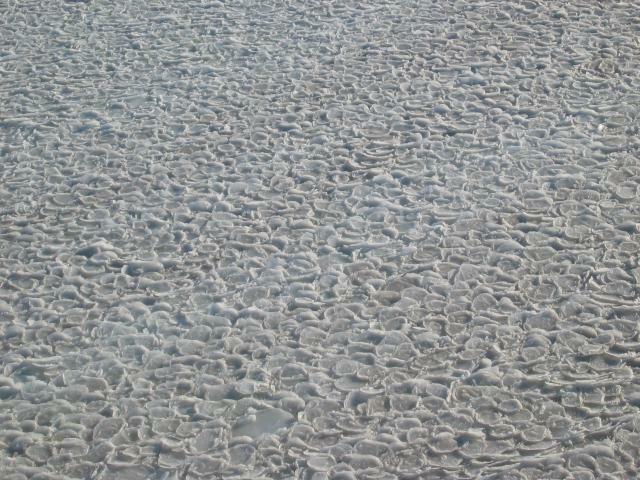 If enough pancake ice is formed, wind can blow the ice together into dense fields.